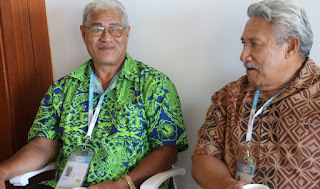 Niue is one of two countries that have expressed their interest to bid for the 2025 Pacific Mini Games. Niue, which has a population of 1700 plans have 8 sports at its games, should it be awarded the hosting rights. American Samoa who hosted the 1997 Mini Games is the second country to put its hands up. Pacific Games Council president VidyaLakhan has advised both Niue and American Samoa that Executive Director Andrew Minogue will follow up in the New Year with the necessary documents. Future Games hosts- Samoa (2019 Pacific Games), Northern Marianas (2021 Mini Games) and Solomons (2023 Pacific Games) reported to the PGC on the progress of their preparations. All three have reported that plans are well in place.